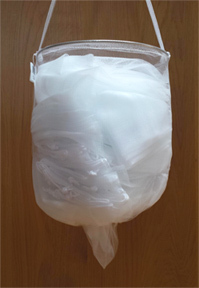 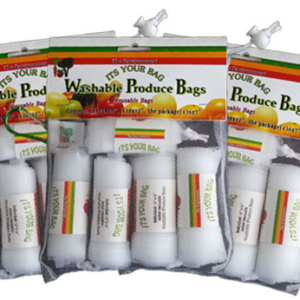 Packaging waste is reduced by using a 6”x7″ bag with a carabiner and ball enclosure as the outer package. 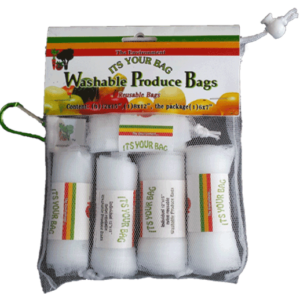 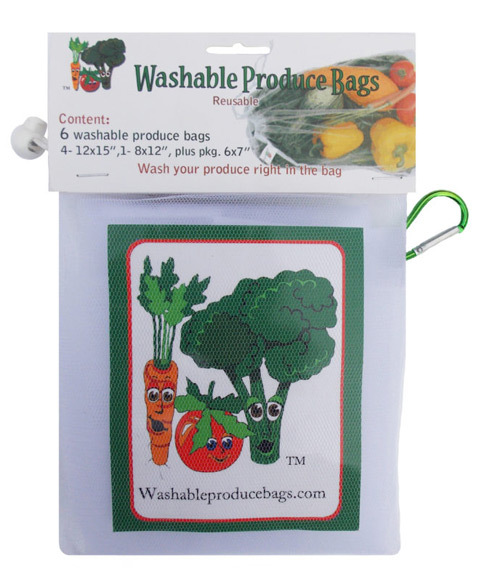 The carabiner is great for attaching to your tote or purse so you won’t forget your produce bags. 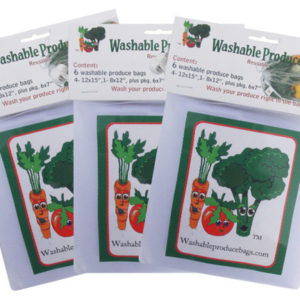 Kids love the adorable Washable Produce Bags characters on the sticker included with each set.